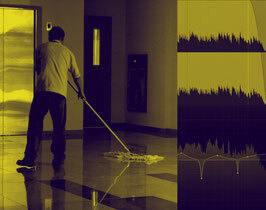 We rescue your Audio - Our service of removing imperfections by preserving the natural sound! If you need audio repairing, sound editing, and cleaning up artifacts of you audio recordings we are here to help. Here is your solution for restoration and optimizing your Podcasts, Audiobooks, Web Videos, Commercials, Youtube Audio, documentaries, promos, corporate videos, live recordings by cleaning up dialog, voice-overs, and interviews. If you plan to release your audio material on Audible, Amazon, Itunes or Youtube the sound quality should be optimized and consistent to give the listener a enjoyable experience. Every listener wants to hear a professional production without extraneous sounds such as plosives, mic pops, mouse noise and clicks or outtakes. Also the volume levels should be optimized, that the listeners won't have to constantly adjust the volume of their playback device. We also regulate the levels of the noise floor every recorded audio has, that your background sounds are almost invisible. We can help you to fix the following Audio problems. how to fix youtube sound?